So closely did the X350 look like its XJ40-based predecessor, that many buyers would be forgiven for thinking that it wasn’t a new car at all. THE Jaguar X350 saloon was probably the most controversial car to emerge from the Coventry concern since the original XJ-S of 1975. Yes, as a car it was probably the best built and most reliable XJ saloon yet, but sales wise, it was the least successful of a series dating back to 1968. The X350 was the first entirely new XJ saloon since the XJ40 of 1986 which evolved in stages into the X300 of 1994 and the X308 of 1997; the latter model introducing the AJ26 V8 engine available in both 3.2- and 4-litre versions. What distinguished the X350 from the preceding cars was the use of an all-aluminium bodyshell. Overall when paint was added and assembled, this amounted to what Jaguar claimed was an overall weight-saving of around 12 per cent compared with a steel-bodied car (although in fact, some models were actually heavier in terms of dry weight; the marketeers were doing their bit by justifying the use of aluminium); and the X350 was claimed to be 200lb lighter than the outgoing X308. And this was despite being larger than the X308 – with a 6in lengthened wheelbase, an extra 2in width, and 5in additional height. The 3 litre AJ-V6 model referred to above marked the return of the XJ6 moniker not seen since the demise of the X300 model in 1997 and was available as the XJ6, XJ6 Sport and XJ6 SE. A new version of the V8 engine appeared in the lowest powered XJ8 cars, a 3555cc unit which produced 262bhp at 6250 rpm. This 150mph car could reach 60mph in 7.3 seconds. The 3.5-litre car was available as the XJ8, XJ8 Sport and XJ8 SE. The largest engined model used the 300bhp 4196cc version of the V8 which had also seen service in the S-TYPE. The extra capacity further reduced the 0-60 mph time to 6.3 seconds and the top speed was improved to a limited 155mph. The 4.2 litre XJ8 was available as Sport and SE models. This model also marked a return to the 4.2-litre capacity seen on so many classic XK engined Jaguars. Whereas the XK six-cylinder 4.2-litre engine produced a mere 205bhp in fuel injected form (if we ignore the somewhat dubious claims for some of the triple carburettor E-type units), the modern V8 was considerably more powerful, putting out a whopping 300bhp. For performance fans, there was the supercharged 4.2-litre XJR, which had its top speed limited to 155mph, and used its 400bhp to accelerate from rest to 60mph in 6 seconds. Finally, topping the range was the Jaguar Super V8 which used the XJR powertrain combined with the furnishings and fittings of a luxury car. In the X308 range the Super V8 had been badged as a Daimler, but for now there was no room for this marque in the new order of things. A new ZF 6HP26 six-speed automatic transmission was now standard across the range. Like the X308 there was no manual transmission on offer. The X350 came with all-new designs of alloy wheels, which because of a different PCD, could not be interchanged with those on the XJ40/X300/X308 models. The SE V6 and V8 models used a grille design reminiscent of the Series 2 XJ saloons, a feature attributed to Jaguar’s founder Sir William Lyons. In 2004, the range was joined by a long wheelbase version, however things were not going well for Jaguar and at the end of the year all car manufacture ceased at Browns Lane, Coventry, and from now on XJ production centred on the Castle Bromwich plant in Birmingham. The following year, Jaguar bowed to market forces and introduced a twin-turbo 24-valve diesel V6 of 2.7-litres, known as the AJ-V6D, into the X350. To Jaguar enthusiasts brought up on tales of V12 smoothness and refinement, most of whom couldn’t afford a new one, this was sacrilege. But consumers wanted the fuel economy the diesel engine offered, and soon the oil burning 206bhp TDVi XJ6 became the best selling X350. The new diesel XJ was still good for 141mph and a 0-60mph time of 7.8 seconds, which made it a close match for the Series 1 Daimler Double-Six tested by MOTOR magazine back in 1973, such was the pace of progress. Also in 2005 the Jaguar Super V8 was replaced by the Daimler Super Eight in all markets outside the USA. 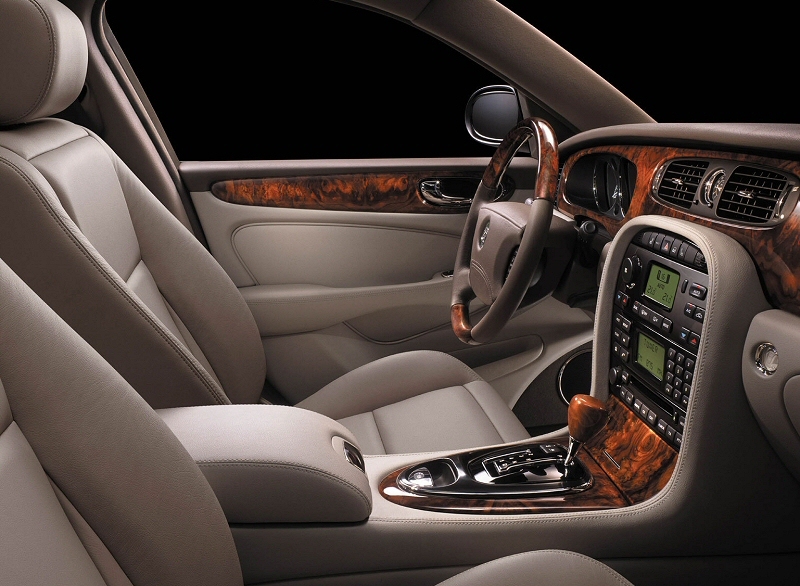 Then, in 2006 a mildly facelifted model was introduced – and it remained in production in this form until the last Jaguar X350 was produced on March 27th 2009 and donated to Coventry Transport Museum. It was the final example of 83,556 cars. But the text above alludes to the fact that things were far from rosy for Jaguar during this period. It saw the closure and sale of the Browns Lane site, and the sale of Jaguar Land Rover by parent company Ford to the Indian TATA concern – the XJ was a cause for concern because its development run late. This was due to the need for a complete redesign of the front end underframe. This cost the then Director of Engineering his job. 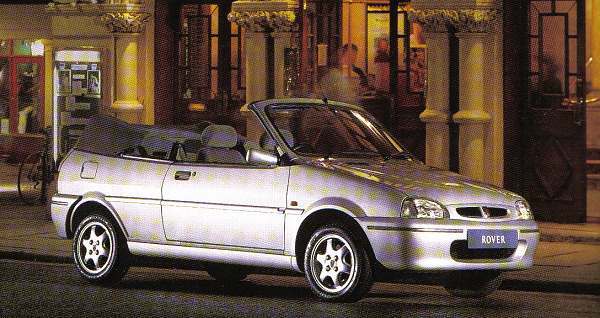 The upshot of this fiasco was that Jaguar had no XJ to sell for over a year, having ceased production of the X308. Many feel what was wrong with the X350 was its unashamedly retro styling which harked back to Sir William Lyons original XJ6 of 1968. Why did Jaguar opt for this approach in a style concious world? To answer this we have to recap the recent history of the XJ series. 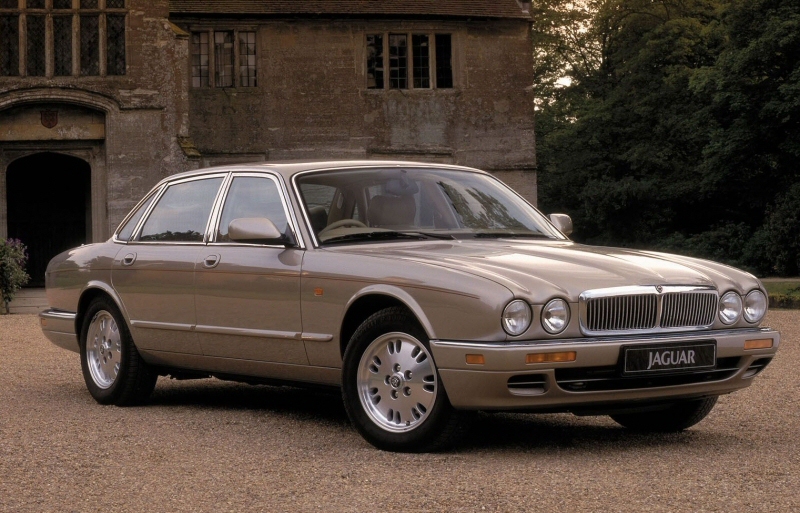 The X300 XJ of 1994-1997 sold an average of 31,600 cars every year it was in production, which was the best for any of the XJ series. Although it could be argued that the Series 1 of 1968-1973 could have sold more but for the ‘British disease’ affecting the UK motor industry industrial relations at the time. The X300 styled by a team headed by the late Geoff Lawson adopted a more retro style over the more progressive XJ40, which had had input from Sir William Lyons himself. Although car styling is subjective, it could be argued that the X300 was a triumph for Lawson and his team, who seem to have decided to go for the retro look before the Ford takeover in 1989. The X300 looked like an even sleeker evoloution of the Pininfarina/Lyons Series 3 XJ and was quite possibly the best looking XJ saloon of all, although as mentioned above, styling is subjective. The X300 evolved into the V8 engine X308, which visually retained all the attributes of the outgoing car and internally was a great improvement. However average annual X308 sales were now down to 24,100, which should have sent warning signals to Ford and Jaguar management that perhaps retro styling had had its day and that something more progressive was needed to compete with the more cutting edge designs from BMW, Mercedes-Benz, Lexus and others. It could be argued that the XJ retro look had reached its stylistic zenith with the X300/X308 series and there was little that could be done to improve on that. Unfortunately Jaguar wasn’t able to define a progressive style for the new car. Geoff Lawson and his team were not to blame for the so-called retro look of the X350 (or, for that matter, the X200 or X400). This was dictated by Ford – in Dearborn – who had very fixed ideas of what a Jaguar should look like. Lawson and his team simply did as they were told. In addition, Ford directed that Jaguars should platform share with Ford. The platform they insisted on using was the DEW98. This was the most up to date RWD platform Ford had. The layout of this platform is what caused the X350 (and X200) to be tall, wide, and consequently, frumpy looking. Geoff Lawson died at the early age of 54 in 1999 and was succeeded by Ian Callum, but this succession was too late to influence the X350’s overall look. Jaguar historian Paul Skilleter wrote in Jaguar World Monthly magazine: ‘As for its shape, I feel that with the X350, Jaguar was trying to produce an imposing car which would compete in size and presence with the larger Mercedes saloons. So the X350 is really a reversion to the MK IX approach – big, bold and upright. Paul Skilleter’s description of the X350 as a beefed-up X300/308 perhaps hits the nail on the head. 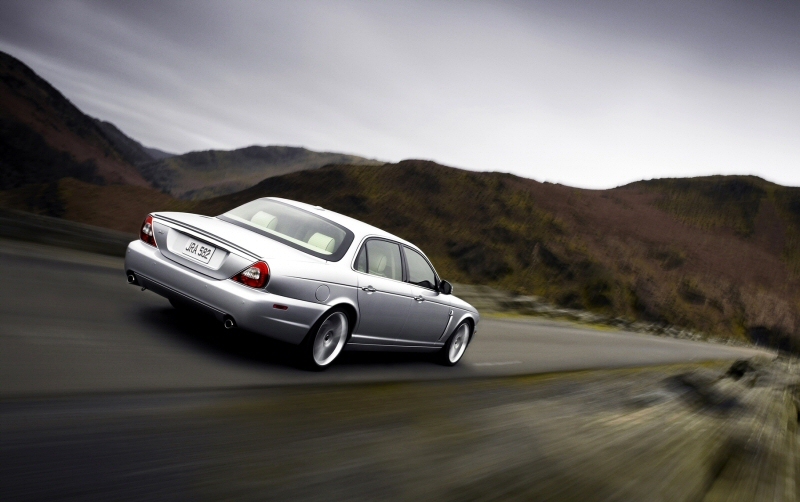 By the time the X350 reached the market in 2003, Jaguar found itself partners with Land Rover in Ford’s Premier Automotive Group. The Solihull concern used Ford’s money and often Jaguars engines to produce a whole series of stunning new vehicles that appealed to the same luxury car sector as Jaguar and their sales increased year-on-year until the steep fuel price rises of 2008 bit hard. As well as the threat from various SUV manufacturers, Lexus, BMW and Mercedes-Benz, Porsche now entered the fray with the Cayenne, an SUV for the man who wanted both a family car and a prestigious badge on the driveway. X350 sales only averaged 13,500 a year, which suggests that Jaguar badly misjudged the market. For all the talk about heritage and brand values that appeal to car enthusiasts, most of whom can’t afford a new car, luxury car buyers tend not be petrolheads, and they see what they drive as a status symbol that should be cutting edge both internal and external. Sadly the X350 although advanced beneath the skin, failed to appeal to the market which saw it as yet another rehash of an old idea. A good article, but one slight error I believe. The aluminium X350 platform is completely different from the steel DEW98 platform used in the S Type, it’s entirely Jaguar designed. Well having read the various comments and posts I am very surprised by much that has been written here, Having worked for Mercedes Benz for over 10 years and having an affection for classic British cars, I am biased I might add as I have just bought an extremely low mileage late X358 the looks of this car are really classic Jaguar, yes it does harp back to its early beginnings and you can see the earlier XJ’s and even the 420G/Mk10 but what’s wrong with that, Mercedes, Audi and other German manufactures constantly reintroduce their traditional styling and are proud of their heritage, Does a modern Audi look like an Audi of 20 years ago, yes course it does and Audi probably want it that way, take the badging and grille off the newer current Jaguar saloons and they look like many other Euro boxes, And technically what a car lightweight body, air suspension take a drive in a well looked after example and that will soon dispel any negatives, this car is up with and in my opinion better than its German rivals, and has a real sense of presence, and regarding comments about refinements not being up to the 70’s & 80’s cars really with respect the writer needs to revisit some of those earlier cars, As nice as they may now appear in pictures they fall well short of the quality of the X350 / X358 cars. I am advised beauty is in the eyes of the beholder but I will keep wearing my rose tinted glass’s and treasure my Jaguar X358 hopefully for many years to come. Built to a standard not a price. The end of an Era. The X350 platform architecture is entirely that of DEW98. The only real divergence was in the front end underframe redesign that was required, to enable the car to pass crash (and satisfy insurers). This delayed the launch of X350 by a year. Also, none of the latest XJ sedans is as refined as those old ’70s V12s. How can the marque be made lose so much of its key identities and atributes- being now neither beautiful, nor refined, trading bling for both. You might need to read the article again. Where does it state X350 was a sleeker version of previous sedans? The answer is, it does not. 1. It was a year late into production. X308 had stopped production and Browns Lane had been re-equipped for X350. This meant that you couldn’t buy an XJ for a year….people naturally went to BMW etc. 2. X350 was probably the best salon car you could buy. The problem was, you couldn’t get anybody to get in the damn thing and try it! X350 was fat arsed, graceless, and old looking. It drove customers away! Than similar aged mercs and bmw’s too . I agree much of what is said in this article, but Mikey C is right, the X350 shares nothing of its platform with the Ford DEW98, it is unique to Jaguar. I have been running a 2003 XJ8 4.2 for some years now as a successor to my much- loved (and very reliable) X300, a 1997 4.0 model. Initially I missed the slightly vintage feel of the X300, and I still think the X300/X308 are the best looking modern Jaguar sedans. However, the X350 hides its bulk well unless it’s sitting directly next to its predecessors, and the 4.2 V8 motor (also a unique Jaguar design) is light years ahead of the AJ16 unit which, combined with the lighter weight (my X350 4.2 is 185kg lighter than the XJ6 4.0) puts the X350 in a different league performance wise, and is also 15-20% better on fuel. I think time has been kind to these cars, particularly the pre-2007 facelift models, the revisions to which in my eyes didn’t quite work; and they now represent amazing buying secondhand. Mine has had very few problems and though now over 10 years old is running as beautifully as ever and the body is tight with no squeaks or rattles and the interior still like new. If you don’t think these cars are quiet and refined, try one against a contemporary BMW 7 series or Benz E or S class. You’ll be amazed at the contrast. The only downside judged against the earlier cars is a slightly harsher ride around town, particularly when driving with no rear seat passengers, but the payoff is much superior suspension control at highway speeds and far sharper handling than of old. And despite what the article days, the interior is much bigger, allowing larger and more comfortable seats, oarticularly in the rear. The boot is shallow and doesn’t have a flat floor which makes loading it effectively a bit tricky, but it is large. My tip – buy an early 2007 car, just before the facelift, get the 4.2 as it uses hardly and more fuel and has effortless performance, make sure it has xenon headlights (mine doesn’t and the standard lights are a bit weak) and crucially that it has a full service history from a Jaguar specialist, and you will have a wonderful long-term owmership proposition. It was researched with all the info in the public domain, which was not a great deal. When originally uploaded, one particular person made claims about the director of engineering losing his job and presumably the DEW98 platform. We modified the text to include all this, although none of this was in the public domain as far as I could tell. If any of this is incorrect, then I apologise profusely. i think the x350 is a fantstic car, its fast even the 3.0 v6 petrol is a flying machine, 7.8 secs 0-60. Even the early cars has xenon hid lights, sat nav etc, and they have real presence. air suspension, electric everything, they offer such great value, and they are well built, search the net, we are now seeing x350’s with over 200k miles under their belts. The X350’s design has one big, single, fundamental flaw: the car is far too tall. That’s why all those beautiful sleek Jaguar trademark lines from the XJ’s of old are distorted like caricature. This design language simply does not work on a car that tall. In order to avoid the perennial cricicism of the persumed lack of headroom in the old XJs’ back they broght the roofline up too far, completely disrupting the styling of the car. This makes the car look far more bloated than it really is. That the body is relatively heavy despite of being made from aluminium is owed to the fact that it does not properly use the material’s properties best. An aluminium body is best made from extruded parts attached to cast nodes by glue – just like Audi does in its aluminium bodies cars. Jaguar instead chose to use a lot of sheet metal for forming the body. Because aluminiunm is much less rigid than steel, in a sheet metal construction you have to use far thicker material, losing most of the weight advantage of it, just like Honda did with the NSX. Not putting together a car using glue can be justified with the efford to repair accident damage. This is far easier done on a Jaguar than on the Audis. I own a x350, and it is the best thing ive ever driven, and she’s beautiful, I look down on bmw’s and merc’s, I don’t even consider Audi in the same league, I can honestly say I will drive nothing else. The X350 is the best looking jag around. To my mind it strikes the right balance between retro looks and new technology. It has so much road presence. I love my XJ6 and will certainly by another. I only hope Jaguar are working hard on trying to reintroduce some of the classic ‘three box design’ in the new 2017/2018 XJ. The current coupe design on the latest XJ just doesn’t cut it and sales figures are dire in the UK. I guess its all in the eye of the beholder. If those eyes are shielded by bi-focals and waiting for a cataract operation I dare say it does look the business. Me thinks it’s the best looking XJ ever. Subjective yes. For us over 6 foot, the previous model lacked headroom, leg room and eldow room and was so too small for a big car. I have been a Jaguar owner for many years and have had a considerable range of Jaguars with an X350 Super V8 LWB being my current ride. I genuinely do not understand the criticisms of the styling… perhaps the slight increase in height is hidden more in the LWB version but I really never noticed it was taller than the X300/308. In my view it is the best looking of the older XJ models. Performance-wise it is exhilarating – all in all virtually the perfect car – for me anyway! Hi there folks, I have recently bought myself a (xj350 super TDVI A) according to the logbook. My first jag was a x300 and I loved driving it but unfortunately it wasn’t to good in icy conditions.But this car is a giant leap as far as I am concerned I cannot wait to go out in it even if it is just a short trip it is a beautiful car to drive. Admittedly there has been a few niggles but what do you expect with with a 12 year old car and that’s what it is all about as far as I am concerned I love tinkering. I obviously appreciate that not everyone is mechanically minded so costs are higher having to use garages but I still think you couldn’t buy so much car for so little money and enjoy it as much with any other mark. I was a Jaguar owner for some 20 years, starting with an X300 XJ6 SVP through S Tyoe v8 (2), an X350 XJ6, and finally two XFS Portfolio’s. I switched brand in July ’15 when I took delivery of a new Maserati Ghibli. Firstly as has already been said the platform for X350 was an all new aluminium effort and had nothing to do with the DEW98 (S Type/Lincoln LS) platform. Unfortunately my 2003 XJ6 suffered like most Jaguar products with a lack of development, with a number of issues such as panel gaps (probably due to the aluminium constructions) of, putting it politely, a very wide and variable nature. This coupled with appalling paintwork, (particularly on the plastic bumper and trim mouldings which would suffer from chipping on an almost epidemic level) which in metallic silver, forever made the car look like different shades of colour from one panel to the next! There were certainly glimmers of excellence trying to shine through, with a luxurious cabin and imposing styling. However primarily due to the issues mentioned above, I ended up losing confidence in the car and selling it. Keith, I hate to correct you, but the X350 platform was very much based on DEW98 – as was X200 and X150. Yes, the X350 and X150 were in aluminium. However, the layout and architecture were the same as DEW98. It’s also shared with other Ford products like Mustang. I’m afraid you are wrong. 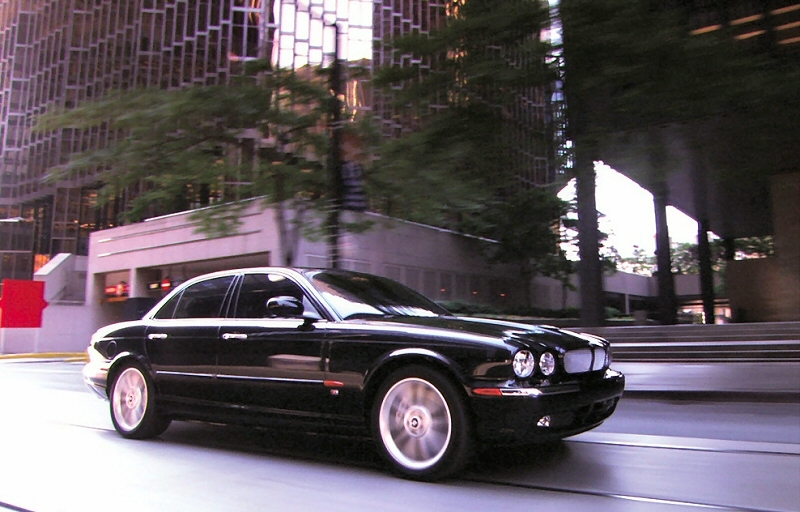 The DEW98 platform was designed by both Ford and Jaguar and was used for the following models only: Jaguar S-Type; Lincoln LS; Ford Thunderbird and Jaguar XF. The Mustang and X350 were never built on this project. The Mustang was built on the D2C platform as the planned DEW98 lite platform being developed was costing too much, however some of the components were shared. The X350 was the first of the new bonded aluminium chassis and created by Jaguar engineers. Other that were originally planned to use the DEW98 were the Lincoln Zephyr and the Ford Fairline. I guess 12 years at Jaguar as a design engineer, spanning X100 to X352, with all stops in between, taught me nothing….oh the wasted years…. By the way….if you think X350 had an aluminium chassis, boy are you in trouble. Kev, any chance you could get your hands on 3d-model of X-350 body? Maybe you still know soeone who works there…? Obviously I don’t want or expect anyone to threaten his career or face a law suit. I have no clue how protective carmakers are over something that has been out of pruduction for 10 years. To be honest, I feel this is unrealistic but maybe there’s hope…? The X350 body was modelled in IDEAS – and that’s long gone. JLR use Catia now. I’m sure the IDEAS database was archived some years ago, but I will enquire for you. I am currently looking to buy a Jaguar XJ (X350) but can’t decide between V6 or V8 engine. Do you know who Jaguar/Ford contracted to supply aluminium parts and panels? I read somewhere that Ford had an interest in this mystery aluminium metalworks plant in USA and forced X350 development to utilise aluminium in order to keep the plant in question open? The X350 wasn’t successful commercially. It was to be said though that the X351 (which I much prefer) has sold just as badly, if not worse. It seems that the smaller XF has stolen sales from the XJ, indeed the current XF is the same length as the Series 3 XJ! It’s likely the X350 came on the market at the wrong time. The recession might have been a few years off and the economy was doing OK, but fuel prices were on an upward curve, changes to the car tax system meant the X350 was very expensive to tax, and the SUV boom was taking off. Also not being launched with a diesel was a mistake as all of the car’s main competitors had a diesel option. However, the X350 had the magnificient Jaguar V8, the traditional wood and leather interior and all the attributes you’d expect from a Jaguar, excellent performance and handling, a very comfortable ride and a near silent engine. As previously said in the comments already made, the X350 was Ford’s idea of what a Jaguar should be. However, Ford had put a cost down team in place at Browns Lane, and they caused havoc with the quality of components bought in. Their cost down saving was the next warranty issue that the component engineers were completely unaware of until the figures were analysed. On top of that there was the issue of incorrect tooling on the electrical pins and sockets in the connectors in the Spring of 2004. ABS, Gearbox and Engine management ECU’s were being changed by the dealers in the USA especially because all of the Instrument pack warning lights came on. Eventually after some considerable time, I discovered that the recepticles (male/female pins) manufactured by Tyco ( who had bought out AMP the supplier), had been tooled up incorrectly. Tyco had manufactured about 3 million of these items that both Jaguar, BMW and Volvo had used in the harness architecture. Momentary open circuit circuits of about 20mS on the CAN network that controlled the drive train resulted in failure messages when the diagnostic were used. Many ECU’s were changed under warranty un-neccesarily . Before I took early retirement at Xmas 2004 my investigation into this and other issues had resulted in a saving of £500k in warranty costs. Ford’s ownership of Jaguar was a disaster, and the above comments are just the tip of the iceberg. Phil do you know who Jaguar or Ford contracted aluminium supply to for aluminium parts and panels for X350? Not sure. I know that the first run of skin panels off production tooling was unsatisfactory because Ford had specified the wrong grade of aluminium probably the cheapest knowing how Ford like to cost-down components. I believe aircraft grade was eventually used. Joromor – here is the details you wanted? I am an old guy and do not know a lot about cars having worked as an engineer in another industry all my life. I have driven Mercedes, BMW, Audi and other great makes many times and when I went 4 years ago to buy some turf the gentleman farmer showed me his Daimler X350 he wanted to sell in order that he could buy an Aston Martin DB7. I came home with the turf and the Daimler. (Try explaining that to your wife) I do not care too much what it looks like because I do not see it much from the outside. I can tell you though that it is a beautiful and gorgeous car to drive certainly up there with the Bentleys and Rolls Royce cars. It is smooth, silent, cossetting, and a huge credit to its designers and engineers that designed and built it. It has every bit of equipment anyone could wish for and when parked on holiday in France has people milling around it when I get back. Congratulations Jaguar designers and Engineers, I do not know what your new cars are like because I cannot afford one but the X350 Daimler sitting on my short drive has one hundred and seventy thousand miles on it and when I see it I still smile. Everyone that travels in it says – what a beautiful car. Yet after launch, We just couldn’t get people to look at the things. They hated the fat back end – forced on us by the DEW98 platform architecture. As a result, sales fell to less than half those of X308. It was a shame, the car was probably the best 4 door sedan in the world. After Jaguar was bought by Ford in 1991, Ford wanted to ramp up production to 500,000 units a year. However they introduced a new management structure to do this. Included in this initiative was a Cost Down Team at Browns Lane that ultimately caused havoc with the warranty costs later in 2003. Jaguar’s warranty bill worldwide was £53 million compared with Landrover’s at £253 million in 2003. After the launch of X350 the major warranty cost as far as the electrical engineering department was concerned with was the Tyco connector issue that I was tasked wuth investigating. Enventually I proved it was Tyco’s issue with their crimped recepticals in the connectors supplied to Jaguar’s harness supplier. I saved Jaguar over half a million pounds in warranty costs towards the end of 2004.